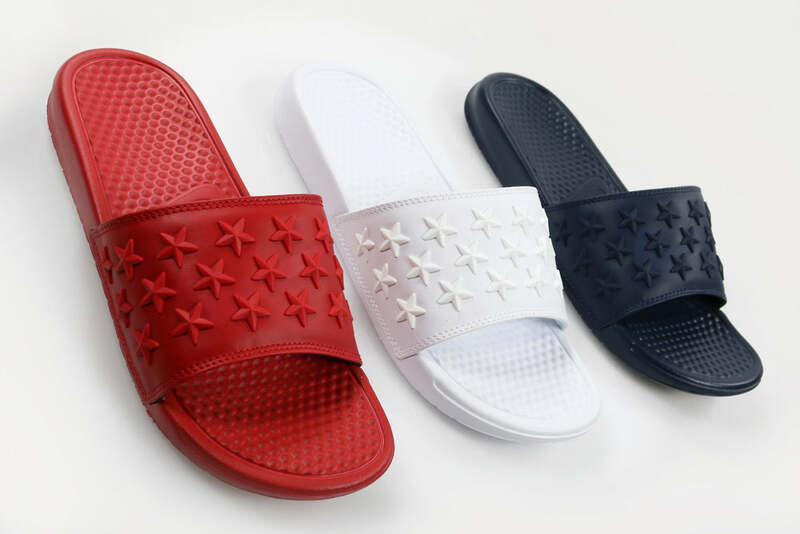 Nike honour American Independence Day with three editions of the Benassi JDI Slider. 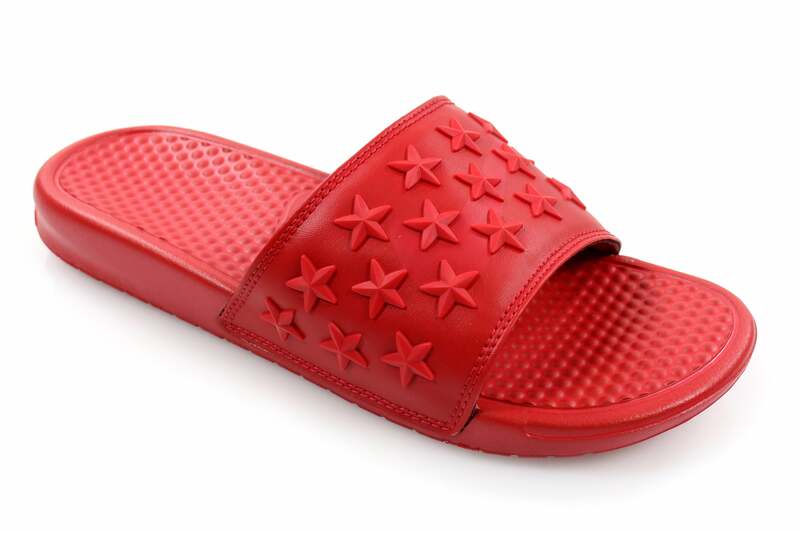 Available in red, white and blue colourways. 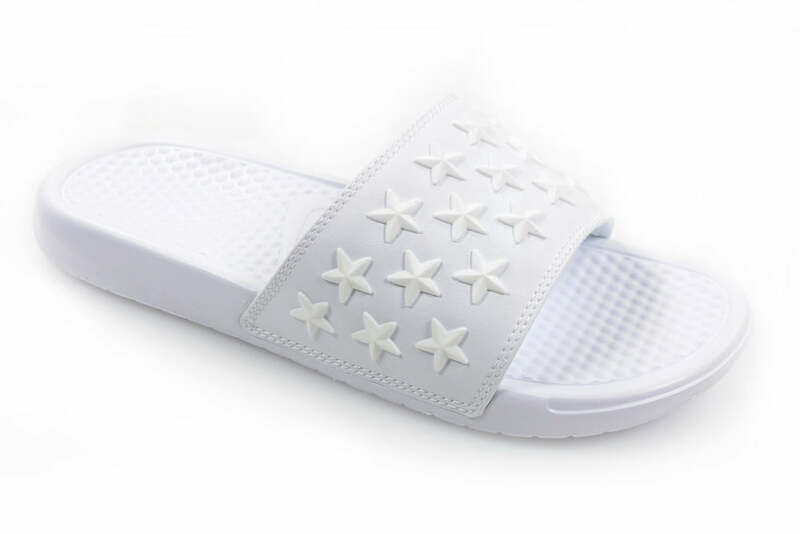 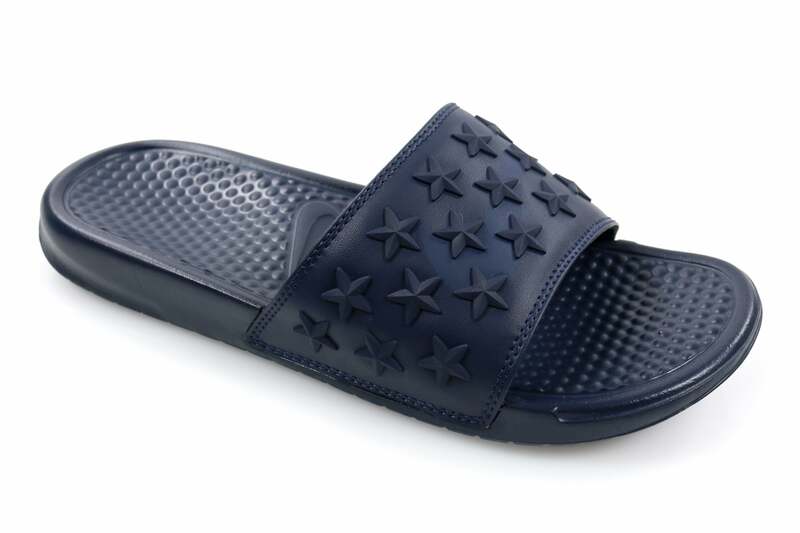 The leather fore foot strap features 3D moulded stars with a polypag backer for additional comfort.